A new Minnesota Public Radio News/Humphrey Institute poll shows former Sen. Mark Dayton with a comfortable lead over the other two candidates competing in the DFL gubernatorial primary. The poll also found that if the general election were held right now, Dayton might have a slight edge, but it would be a toss-up regardless of which Democrat ends up taking on Republican candidate Rep. Tom Emmer. The poll of 701 Minnesota adults, which was taken May 13-May 16, shows Dayton is the favorite among likely DFL primary voters by a 10-point margin: 38 percent to 28 percent over House Speaker Margaret Anderson Kelliher. Dayton, Kelliher and former state Rep. Matt Entenza are competing for the DFL spot on the general election ballot. Entenza received just 6 percent of support in the poll. Whoever wins the August DFL primary will face Emmer in the November election. Kelliher received the DFL party endorsement last month. Dayton did not seek it and DFL Party leaders punished him for that by barring him from the state convention. Still, Dayton is getting more support from Democrats. "This poll is a real slap in the face to the Democratic Party," said University of Minnesota political science professor Larry Jacobs, who oversaw the poll. Jacobs, who heads the Humphrey Institute's Center for the Study of Politics and Governance, says it's not just that Dayton has a big lead over Kelliher among likely DFL primary voters. The poll shows Dayton is considerably more popular than Kelliher with women in the party. "The failure of women to rally around Kelliher is one of most surprising findings we have, and it's not just kind of, by a little bit," Jacobs said. "It's a solid 8-point difference between Kelliher and Dayton." 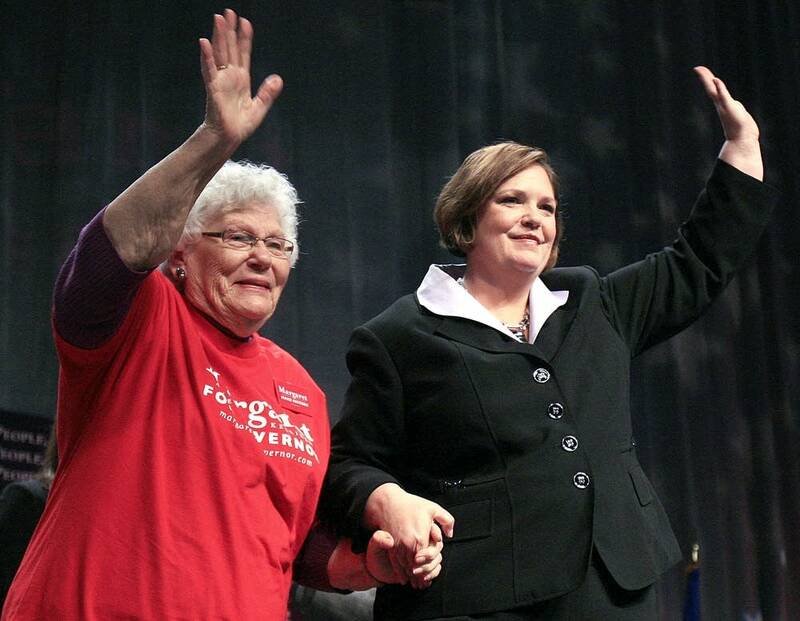 Kelliher has campaigned aggressively on the notion that she could become Minnesota's first woman governor. "DFLers, are you ready to make some history? Are you ready to make history together?" she said the party's convention in Duluth. If the matchup numbers against Dayton are troubling for Kelliher, the good news for her campaign is that 28 percent of likely DFL primary voters are undecided. Dayton said Wednesday that he believes the election will be close. 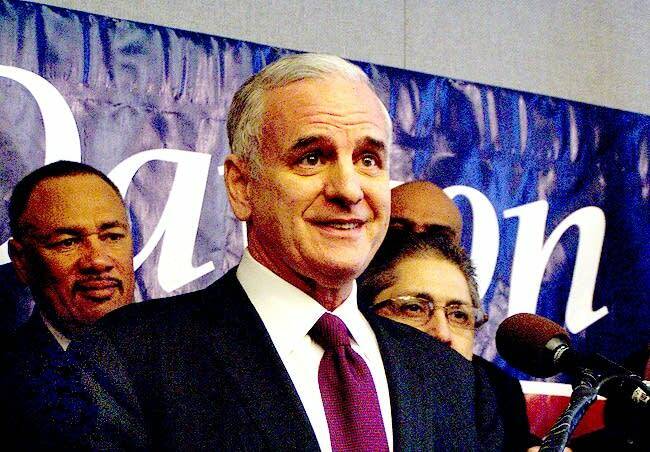 "It's a very volatile political year," Dayton told MPR's Morning Edition. "I think people are going to be making up their minds and changing their minds and making them up again." When it comes to the general election, the poll shows only Dayton would win against Republican Tom Emmer. But Dayton would win by just 4 percentage points, well within the poll's margin of error of 5.8 percentage points. The poll shows Emmer beating Kelliher or Entenza, but, again, not by enough to be statistically significant. In a written statement, Kelliher suggested her work at the State Capitol contributed to her second-place finish in the DFL gubernatorial poll. "My opponents have been spending their own personal fortunes to get a head start in this race," she said. "We're going to win this election door-by-door, voter-by-voter." While Emmer has no primary battle on the Republican side, the poll indicates he faces a challenge in uniting the GOP behind him. A third of the Republicans who responded to the poll said they were either undecided, supporting a Democrat or backing the Independence Party-endorsed candidate Tom Horner. Jacobs says for the sole Republican candidate to have only two-thirds of party members backing him is extraordinary, and not good news for Emmer. 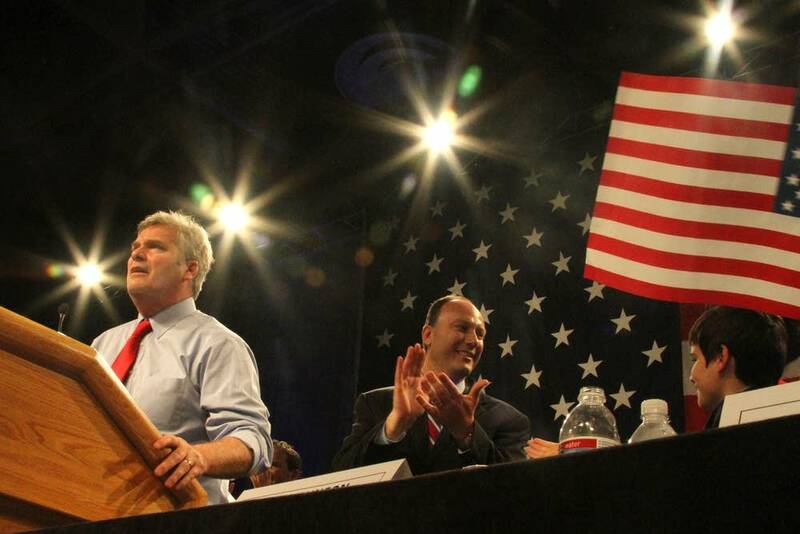 "Emmer, perhaps because he's too conservative, is struggling at the outset to rally and unite Republicans," Jacobs said. "Now, there's a lot of time to campaign and Emmer, unlike other Republicans who've run for governor, is really a new name for many Minnesota voters, so we'll have to see how that develops. But at this point, the [result] is a red flag." In all of the matchups, the Independence Party's Tom Horner received roughly 10 percent support. About other politicians, survey respondents gave Congress just a 23 percent approval rating. But nearly two-thirds, 64 percent, said they approved of DFL Sen. Amy Klobuchar's job performance. Less than half, 48 percent, gave Democratic Sen. Al Franken a positive rating. Gov. Tim Pawlenty, who is leaving office after his second term ends this year, saw his approval rating drop to 43 percent, a near-historic low.